Weather forecasts with a generous side of attitude and humor. Most weather software is pretty straightforward, presenting forecasts in a bland, run-of-the-mill way that makes local TV meteorologists look downright entertaining by comparison. If you prefer weather with a side of snark, it’s time to invest in a pair of apps that bring much-needed personality to this science. Like your weather forecast with a side of sarcasm? 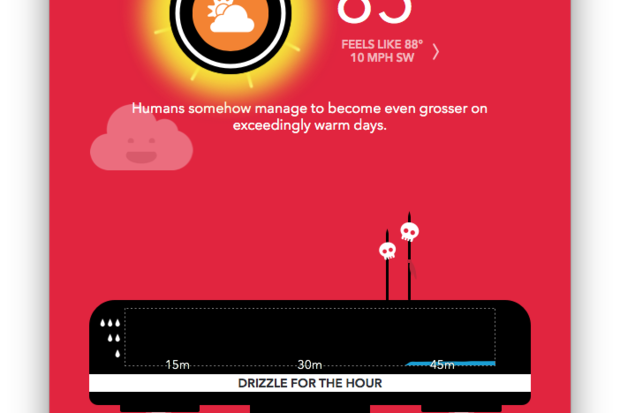 Carrot Weather delivers that and much more for Mac users. 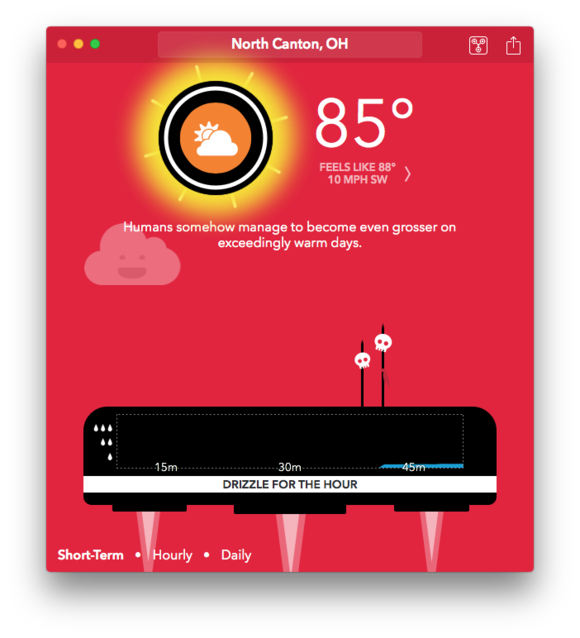 Carrot Weather debuted on iOS earlier this year as a “talking forecast robot.” It recently joined on the Mac App Store with an OS X companion version. 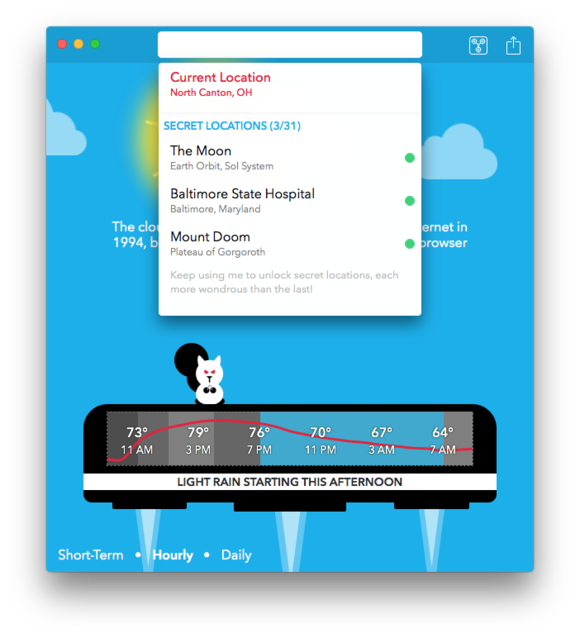 Unlike slick-looking but comparatively ordinary weather apps, Carrot ( ) prides itself on “eerily accurate weather” delivered with equal amounts of personality. 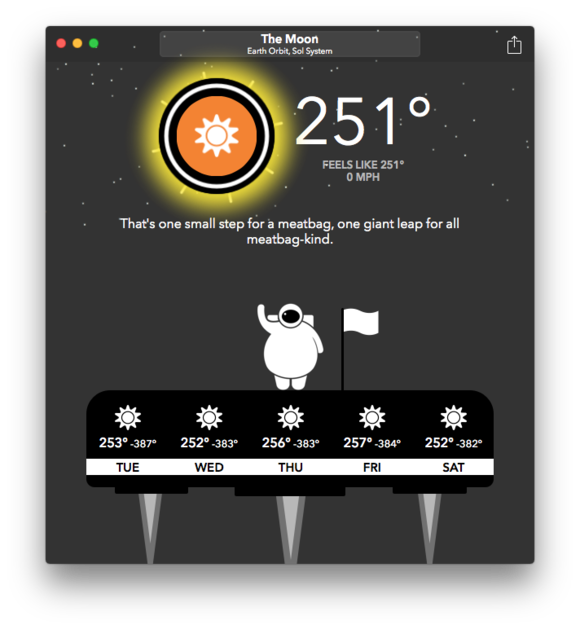 You can’t take a trip to the Moon, but Carrot delivers the weather right to your desktop. Carrot also includes more than 30 “secret” locations—some real (the Moon!) and others fictional, like Nakatomi Plaza from the film Die Hard. There’s no rhyme or reason as to when these pop up, but the more they’re used, the more frequently you’ll see them. Such cheekiness might get old quickly if it weren’t for the accurate weather data, which includes 24-hour and seven-day forecasts from Forecast.io. 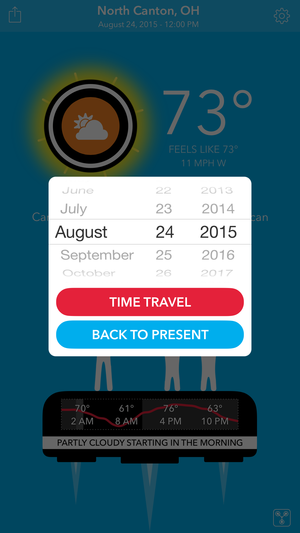 The same service also powers Carrot’s cool Time Machine feature, allowing users to leap 70 years into the past, or peek ahead an entire decade—great for looking up weather on the day you were born or planning a future trip. 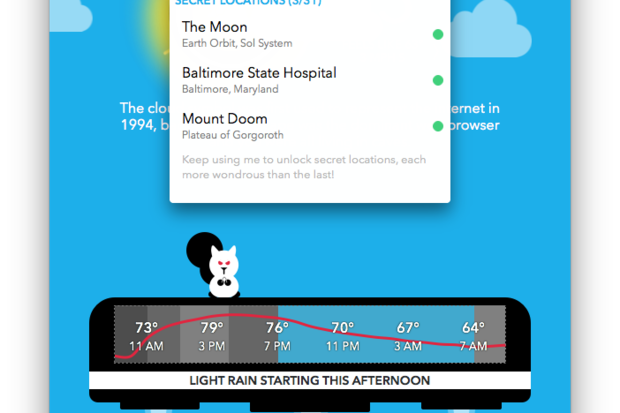 More than 30 different secret locations are lurking in the Carrot Weather apps—some real and some fictional. iOS users also have the option to view Carrot weather from Notification Center in one of five different levels of detail. The biggest new Carrot for iOS 2.0 feature is notifications, alerting users to imminent precipitation, severe weather, or daily morning and evening reports. Unlike other weather apps I’ve used, notifications are forwarded directly from the desktop version, rather than pushed from the cloud. Setting up notifications is relatively painless and requires little more than entering a Notification ID generated on OS X into the iOS app, but there’s one downside to this approach: When your Mac is turned off, so are mobile notifications. It’s not a deal breaker, but it does make Carrot less convenient on-the-go compared to other weather apps. Speaking of notifications, the iOS version now offers five levels of detail for the Notification Center widget, along with alerts viewable on Apple Watch. On Mac, there’s a handy Mini Window in the menu bar that constantly displays weather conditions and temperature, and can optionally be detached and kept hovering in front of other applications. 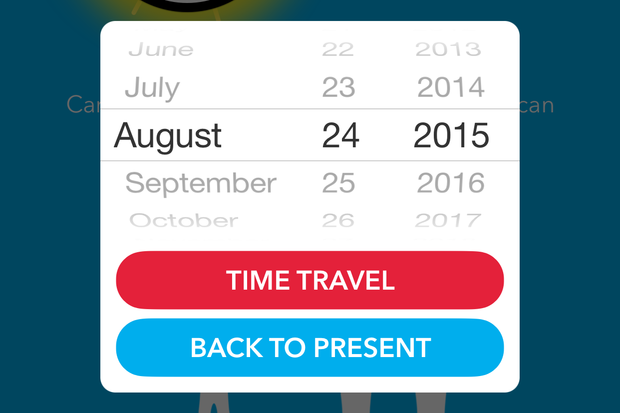 Travel up to 70 years into the past or 10 years into the future with Carrot Weather—no DeLorean necessary. Another thing Carrot can’t do is sync data between platforms—locations added on one device unfortunately won’t automatically appear elsewhere. This limitation doesn’t dampen my enthusiasm, but it is a somewhat glaring omission considering the software otherwise offers parity between desktop and mobile. 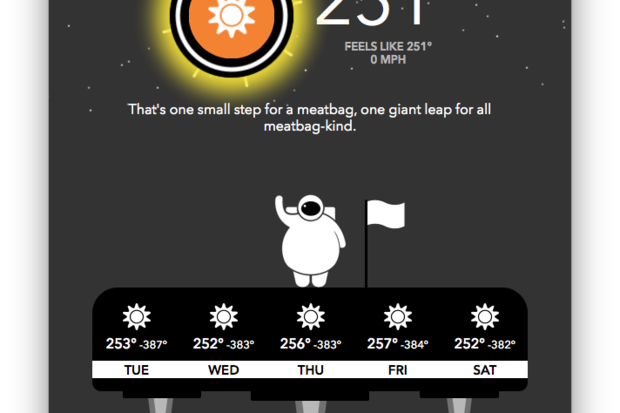 Carrot for Mac and iOS aren’t the cheapest weather apps around, but they’re certainly the most entertaining. I found it more useful on the desktop since I spend weekdays in front of a computer, but buying one should be viewed as a gateway drug to the other anyway.